PRICE DROP - Disney Frozen Embossed Tin Lunch Box For Only $5.34 + FREE Prime Shipping! You are here: Home / Great Deals / Amazon Deals / PRICE DROP – Disney Frozen Embossed Tin Lunch Box For Only $5.34 + FREE Prime Shipping! PRICE DROP – Disney Frozen Embossed Tin Lunch Box For Only $5.34 + FREE Prime Shipping! Disney Frozen Embossed Tin Lunch Box For Only $5.34 + FREE Prime Shipping! Calling all Frozen fans! The price dropped a little bit more! 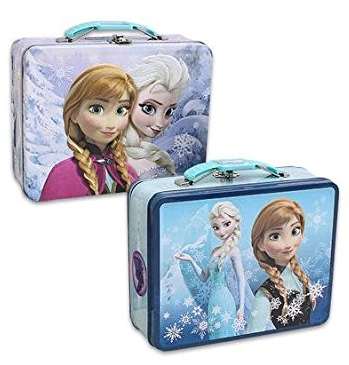 Get this Disney Frozen Embossed Tin Lunch Box for just $5.34 + FREE Prime Shipping (sign up for a FREE 1 month trial of Prime here)!